Have you seen a piece of furniture that you really love at a bargain price? but unfortunately, it is located 400 miles away from home? MercadoTransporte aims to fix this problem. 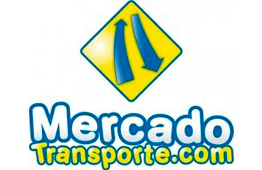 Just like eBay is an online marketplace for buying and selling goods, MercadoTransporte is an online marketplace for transporting goods. People list items they need shipped and transporters – with excess capacity and who are already making a similar trip – place competing bids to win the business. By enabling transporters to make use of their spare capacity we dramatically cut down on CO2 emissions, transporters increase profitability and consumers save on shipping costs. This entry was posted in Entrepreneurship and tagged américa latina, diana sanchez, ebay, emprendedores, entrepreneur, federico vega, ignacio vega, Latin America, mercado transporte, nxtplabs, Start-Up Chile by Nora Palladino. Bookmark the permalink.